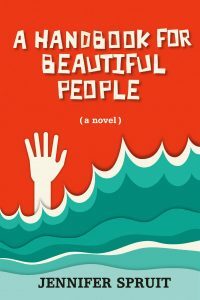 When twenty-two year old Marla finds herself unexpectedly pregnant, she wishes for a family, but faces precariousness: an uncertain future with her talented, exacting boyfriend, Liam; constant danger from her roommate, Dani, a sometime prostitute and entrenched drug addict; and the unannounced but overwhelming needs of her younger brother, Gavin, whom she has brought home for the first time from deaf school. Forcing her hand is Marla’s fetal alcohol syndrome, which sets her apart but also carries her through. When Marla loses her job and breaks her arm in a car accident, Liam asks her to marry him. It’s what she’s been waiting for: a chance to leave Dani, but Dani doesn’t take no for an answer. Marla stays strong when her mother shows up drunk, creates her own terms when Dani publicly shames her, and then falls apart when Gavin attempts suicide. It rains, and then pours, and when the Bow River finally overflows, flooding Marla’s entire neighbourhood, she is ready to admit that she wants more for her child than she can possibly give right now. Marla’s courage to ask for help and keep her mind open transforms everyone around her, cementing her relationships and proving to those who had doubted her that having a fetal alcohol spectrum disorder does not make a person any less noble, wise or caring. Those ladies at TLC Book Tours know me so well. They know when they've got a book that's right in my wheel house. And they know that I'm usually game for something that will push me out of it. This one definitely pushed me out of it. So many characters that I couldn't relate to, that, frankly, weren't all that likable. Oh, heck, some of them weren't likable at all (I'm looking at you, Dani). I started this book at exactly the wrong time to start a book that wasn't going to be an easy read. My life has been extra busy, my brain extra distracted. It took me a week to read 100 pages of this book. I wasn't enjoying it, wasn't getting into it at all. But I needed to write a review so I needed to push through it. Yesterday, I did something I never do - I read the last page. If I couldn't get through the book in time, at least I would know how it ends so I could write a better review. And that's when I realized that I was beginning to get into these characters. Because I didn't like the ending at all; it didn't feel right for the characters I'd been reading about. So instead of writing this review so it posted this morning, as I would normally post reviews, I decided I needed to finish the book. All 167 pages I had left to read in time to still get a review posted today. Here's the surprising thing - reading that last page turned out to be the best thing. 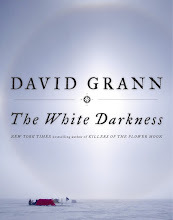 Because, instead of just speed reading enough to write a review, I read this book. And those characters? The ones I didn't particularly care for? I found myself caring very much for them, feeling their pain, understanding their anger and addictions. That's an impressive feat from a debut author. I don't know what Spruit's background is but she seems to very much understand what makes a what makes her characters tick, what drives someone to addiction, and how to make readers feel empathetic. 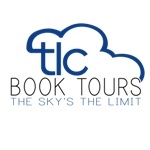 Thanks to the ladies at TLC Book Tours for pushing me out of my comfort zone again. To read other reviews of this book, check out the full book tour here. Jennifer Spruit was born in Lloydminster, AB/SK, and now lives in Courtenay, BC. She attended the Creative Writing MFA program at the University of British Columbia. Jennifer enjoys teaching kids, playing music, and paddling a blue canoe. This is her first novel. Find out more about Jennifer at her website. Glad you ended up enjoying the book and relating to the characters. I've had that happen before. I agree that this book doesn't seem like one I'd like, but your review makes me reconsider that. So, thanks! Sounds like it was rather difficult to get through this short novel. I hate when that happens, especially when it's a tour! I commend you for pushing through it and glad that you got into it as least enough to write an honest review. I love that cover though. Fantastic! I'm so glad you stuck with it. I'll have to put this one on my list. Thanks litandlife for taking the the time to get to know these often difficult characters who are struggling to build a community together in very trying circumstances. The chapter names refer to the size of the growing embryo/ baby. I was well into the book before I caught on to the chapter names! Thanks for getting to know these characters with their many frustrating aspects. Dani is a whirlwind of trouble for sure. I appreciate your review. We've dealt with addiction in our family so I wonder if it was just tough for me to read about that subject but as I read on, I really felt you understood what it's like to battle an addiction.